WiFi is one of the most important things on any person’s list. In this time and age, if you do not have an internet presence, then people get suspicious of you. One of the best ways to be connected with the online world is through WiFi. Wireless internet means that you could be in any nook or corner of the house and you would still be connected to the internet without having to plug anything into the device. You will want to know how to hack Xfinity wifi. WiFi helps you to stay connected with the rest of the world. If you are not able to reach someone through a phone call, you could always use the internet and its app to find him or her. In this age, people don’t only have profiles for personal reasons but, it is for professional ones as well. When it comes to modeling and other such professions, a major part of your selection depends on your social media presence and the number of followers you have. In this article, we are going to teach you how to hack Xfinity wifi. Also, here are the best solutions on how to backup your WIFI passwords & Android data via WIFI as well as professional Spy App for Android, Android WiFi manager, Couple Tracker Apps for Android and Bluetooth Manager for Android FYI. One of the first things that you will need to do is to search for WiFi spots so that you could hack Xfinity wifi. Normally, an Xfinity WiFi requires you to pay if you want to use the internet. You could make the payment if you want to use the internet legally. But, that is not what this article is about. If you are someone who does not want to pay for it or is not financially in a position to do this, then this article is for you. You will need to know how to hack Xfinity wifi. Here are the steps that you will need to follow. 1. The first thing that you will need to do is to go to the login page of Xfinity. 3. Now you should click on the option to Sign Up. 4. After you are done with the previous step, you will be notified if you have already used up the free hour pass that everyone gets on the device. You will be eligible for that one hour pass after 24 hours. If you wait for the time to pass and then use the free hour of the internet again then for one full year, you will not be eligible for the free hour pass. This is why you need to hack Xfinity wifi. Knowing how to hack Xfinity WiFi will help you to use the internet for free for a number of hours. 5. You can trick the device into thinking that you are using a different device so that you could use the internet. 6. The process is pretty easy. Something that you will have to do is to root the device. 7. Once you know how to root the device, you can go to the PlayStore and then download the Mac address changer app. This app will help you to hack Xfinity wifi. Note: – Before you begin to use Mac address changer app, you will need to make sure that you are connected to the Xfinity WiFi hotspot. If this is not done, then the whole process will fail, which is not something that you want. 8. Once you open the app, you will need to change the address of the device. 9. Now, you should scroll down until you can see the screen. 10. Click in order to generate a random address of MAC. 11. Once the process completes, you will be able to set a new address for the phone that you are using. 12. Once the process completes successfully, you will see a message on the screen that says Mac changed successfully. 13. After you have changed the MAC address, go to the WiFi setting and try to connect the WiFi again. This process should help you to hack Xfinity wifi. Once it connects, the IP address will be obtained for the device. 14. You will be notified once it successfully connects. 15. Now you will need to go back to the Xfinity page and then click on the ‘I am not a customer” option. 16. When you log in, you will be allowed to use the free WiFi for one hour. This means that you have been successful in learning how to hack Xfinity wifi. 17. Click on the option that says ‘Get Access Now.’ You will see a number of options once you click on it. 18. The highlighted option is much better as it will be free of cost. The only thing that can be a problem is that you will need to repeat the process every hour, it can get pretty annoying. But, the big plus point is that it is absolutely free and also that learning how to hack Xfinity WiFi has been a success. Also, you can get to know how to change AT&T WiFi password. Spyzie is an app that can be used in tablet-monitoring and also smartphone-monitoring. It is a great app that has stood the test of time and has had an amazing positive response from most of the people who have used it. This app is great for spying. If you are looking for an app that would help you to hack Twitter account, Hack an FB account, hack Xfinity WiFi, hack Yahoo password, then this will help you in that too. 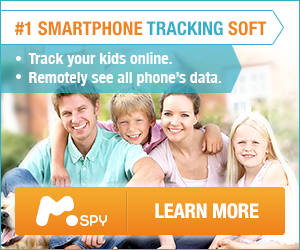 Spyzie is best known for being the spying app that it is. It does not lag, and the user-interface is pretty user-friendly. Even if you are someone who is not that active on the internet then you might be skeptical whether you would be able to handle this app or not but, when you will start using this long range baby monitor , you will realize that it is not hard at all to use it. This app has so many features that would be hard to find in any other app. For example, Spyzie lets you see the exact location of the person that you are tracking. This will be a great benefit if you are trying to spy on someone like a spouse or a child. This is the perfect app to catch them if you suspect them of lying to you. In order for you to keep a constant track on the person’s phone, you will need to have a proper internet connection. For you to have a good internet connection, you will have to pay for it. One option using which you won’t have to pay is by learning how to hack Xfinity wifi. Spyzie also helps you to keep a track on anything and everything that a person does on their phone. It can hack into both iOS as well as Android devices like HTC, Samsung, Lenovo, Google Nexus, LG, among many others. The best way to make the most of Spyzie would be to opt for the premium version of it. If you keep in mind all the features that you would get to use, how amazing this app is, how amazing the reviews of it are, and how there are barely any apps that can compete with Spyzie then you would know that the cost of the app is not much. Having a stable WiFi connection can be helpful in so many ways. A lot of people use it for entertainment while a lot of people need the internet to study. For some people, it is the only way to communicate with their loved ones as making international phone calls can be pretty expensive. Can You Unlock iDevice if the Apple Password is Forgotten?